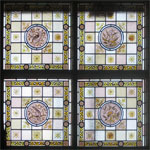 When talking of architectural stained glass think 'walls of stained glass'. Church and cathedral stained glass fall into this category as well as clear leaded light walls. 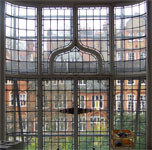 It involves large expanses of stained glass, paying careful attention to the building's planning, light and structure.